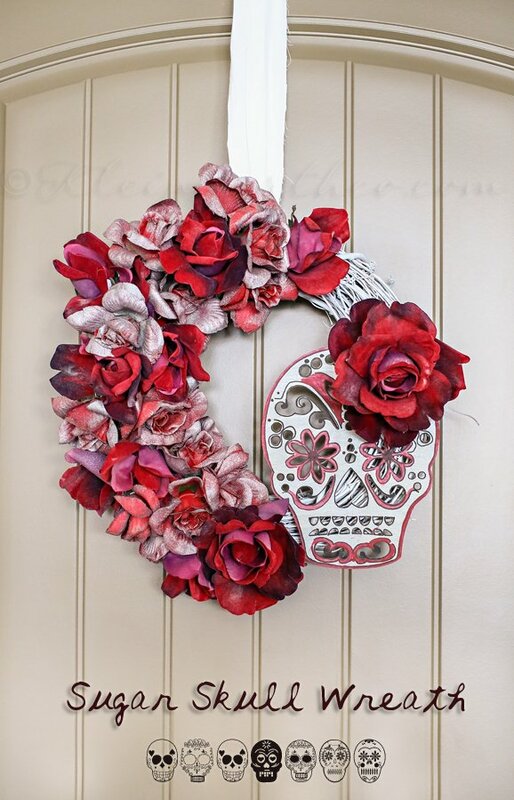 I love sugar skulls. 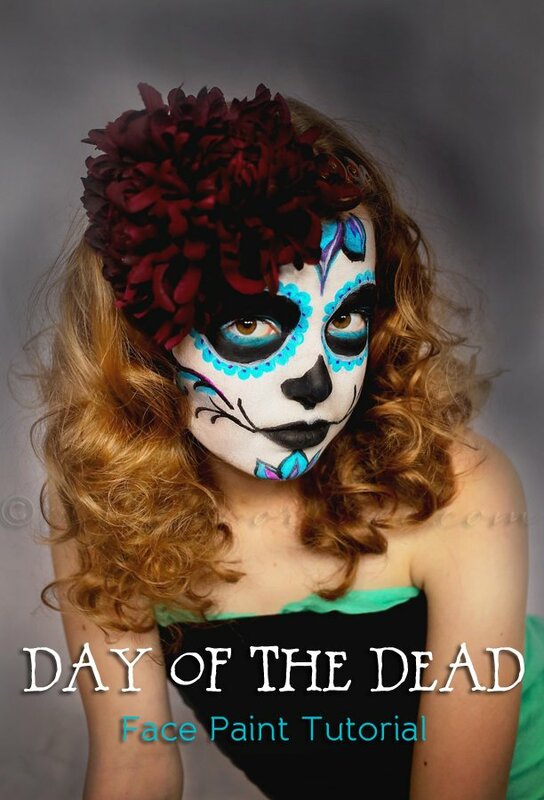 Some know it better as day of the dead or Dia De Los Muertos. Actually – I don’t think that love adequately describes how I feel about them. LONG ago when L.A. Ink first began – Kat tattooed someone with a day of the dead skull. I fell in love. MANY years later & I have my own custom sugar skull tattooed on me & I’m still quite obsessed with them. 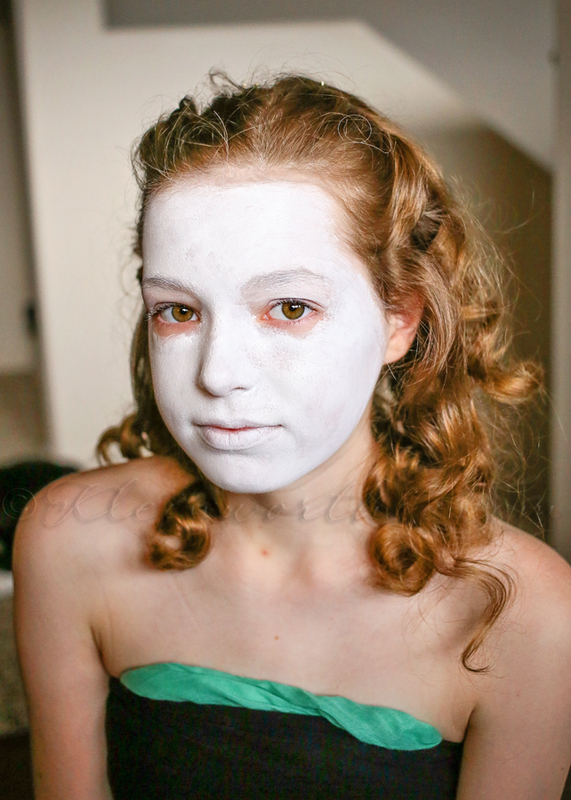 So when this time of year started inching closer I knew that I would want to paint my daughter’s faces. 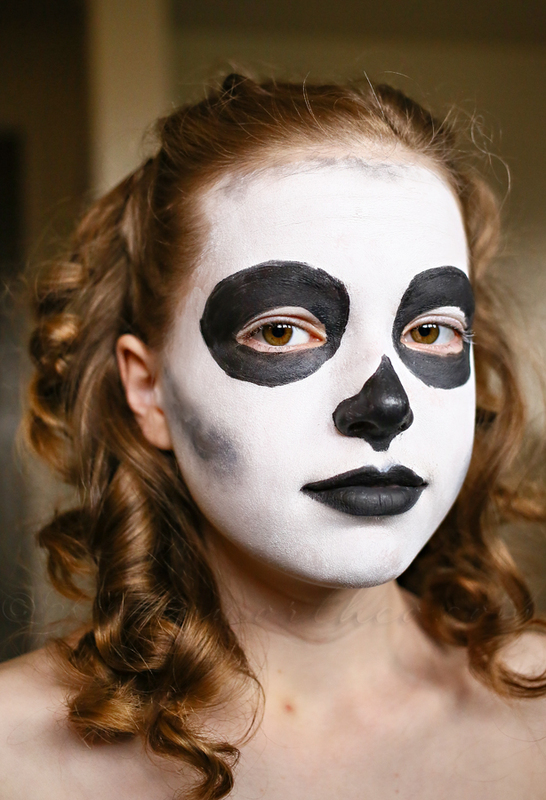 I practiced my first on my older daughter to bring you this Day of the Dead Face Paint Tutorial. I have to say – I had such a blast creating this face on her. I could have done it all day long. 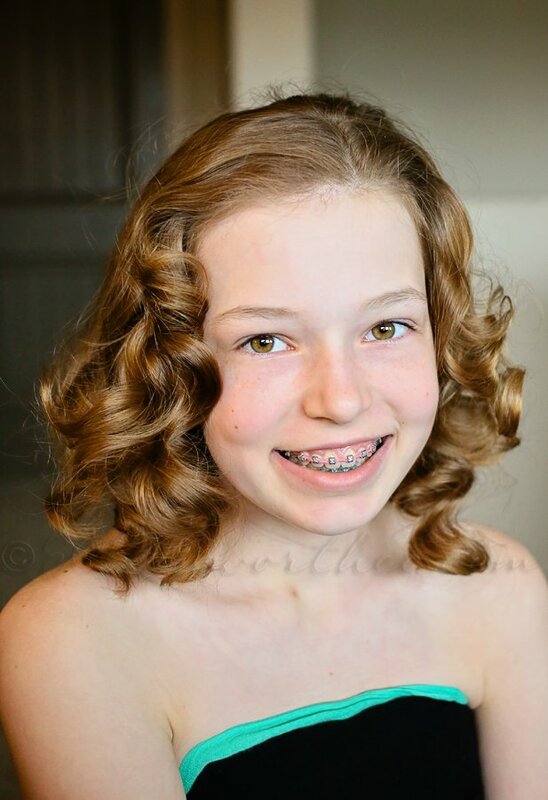 Here she is – one of my gorgeous daughters. It works a lot like watercolors – just wet the sponge & paint on the face. I gave her about 4 coats of white to get to this opaque level. Then I added black & blended under her cheekbones & then used the paint brush to add the eyes, lips & nose detail. Then I let her choose the rest of the colors – which ended up being turquoise & purple. I added the flower petals on her chin & forehead. 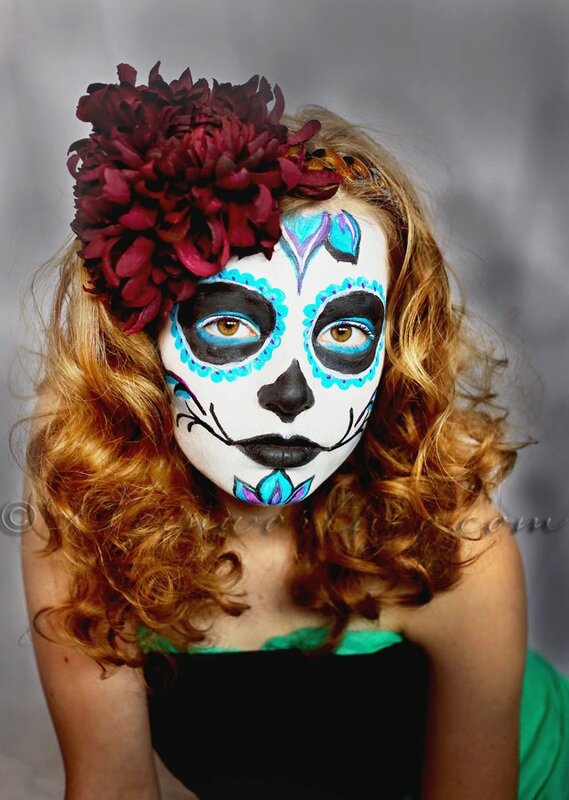 Then painted the petals around her eyes – adding a line of white between the black & turquoise. I also added tiny dots of purple in the eye detail to bring it out more. Then one of the most important parts is the detail off the mouth. I had all sorts of ideas on this – but in the end, chose to keep it simple. Adding some large & wild hair along with some flowers to adorn the head finishes off the look. Overall – this took me close to 2 hours. But that was a lot of slow & steady work doing it freehand. 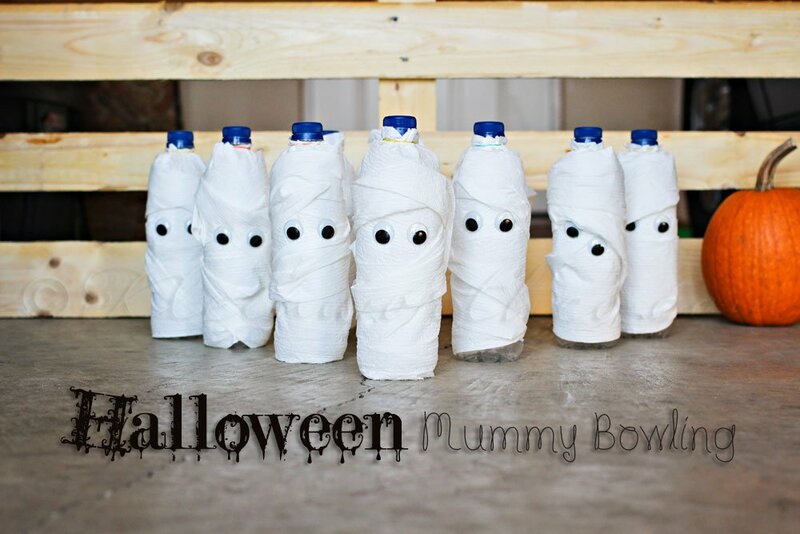 I’m really looking forward to doing it again on Halloween so both the girls can look cute for passing out candy. 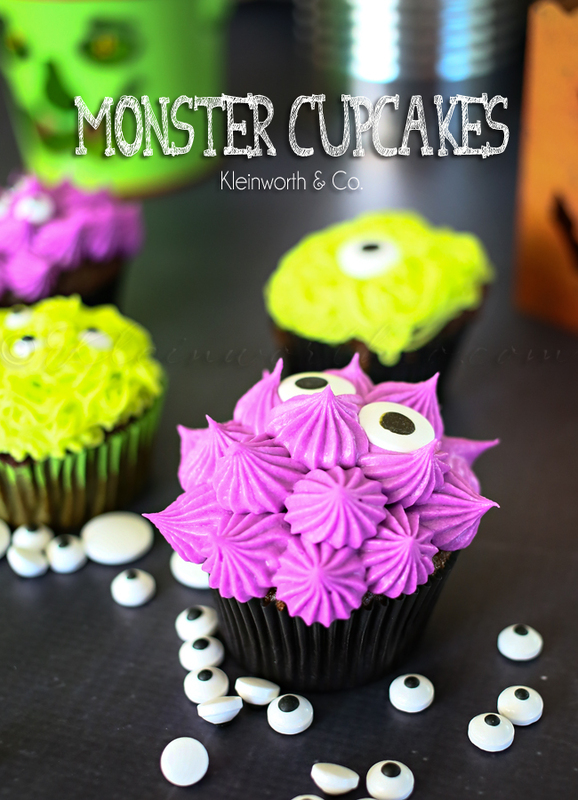 Want more Halloween themed ideas? Super gorgeous! Thanks for showing us how to recreate the look. I definitely want to do it! She looks stunning! What an amazing job you did! Your talents are endless! Wow you did an amazing job. She looks awesome. Thanks for this, just what I needed! Going to a Dia de Los Muertos party and now know how to pain my face. oops! That’s supposed to be “paint my face”. Looks awesome. You did a fantastic job. Pinned! super wicked and cool! 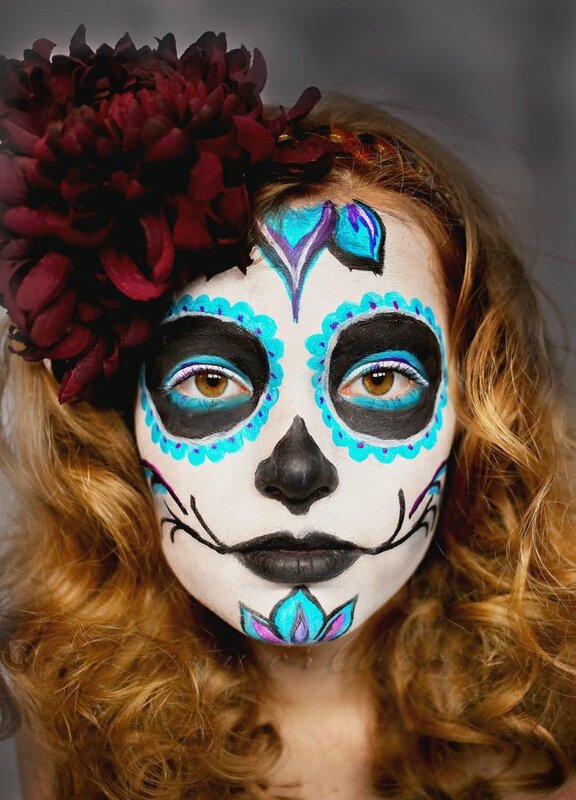 love this day of the dead face and appreciate your sharing the tutorial on how to make! What makeup or paints did you use? Hi Madilyn. I used all the paints by Tulip Body Art shown in the 3rd image in the post. Absolutely beautiful! With makeup and without. 🙂 I’ve always thought the sugar skulls were pretty. Thanks for linking up to Show Me Saturday. Hope to see you there again tomorrow!